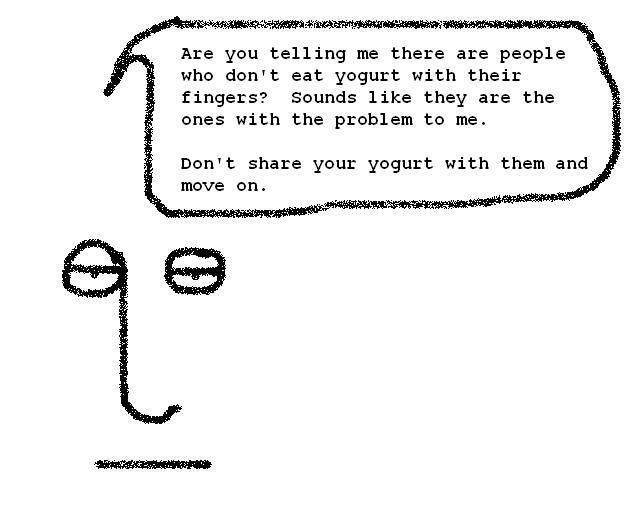 Why do you think people have such a problem with me eating yogurt with my fingers? sometimes i like to work for it. i must remember this…… greek yogurt is a bit thicker – can be a little easier…. Be careful. Thicker might mean harder to get off your fingers. You have to consider all variables.